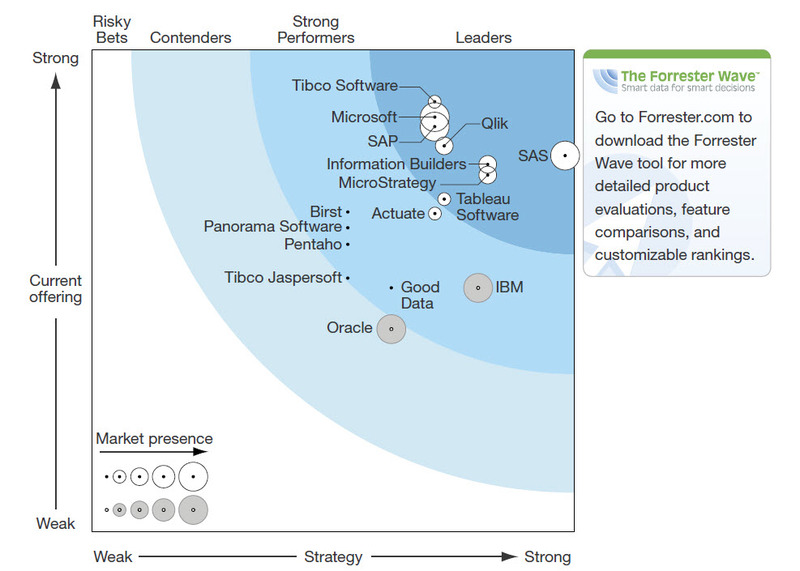 I have moved all of the content from my MicroStrategy Tips and Tricks blog over to my Data Visualization Blog. Please click here to see old posts from this site. A trip to MicroStrategy World 2014 would not be complete without a trip to the Vendor’s Room. You walk in empty-handed but walk out with your arms completely filled with all kind of tchotchkes. Footballs, foam balls, flash drives, yo-yos, pens, flashlights, travel cups, mugs, tee shirts, candy, cookies, etc. This year was no exception. Unfortunately, I arrived today and only had a short time to peruse the Vendor’s Room before it closed at 2:30pm. However, I did pick up a few interesting items that I wanted to show you. O.K., How cool is this! 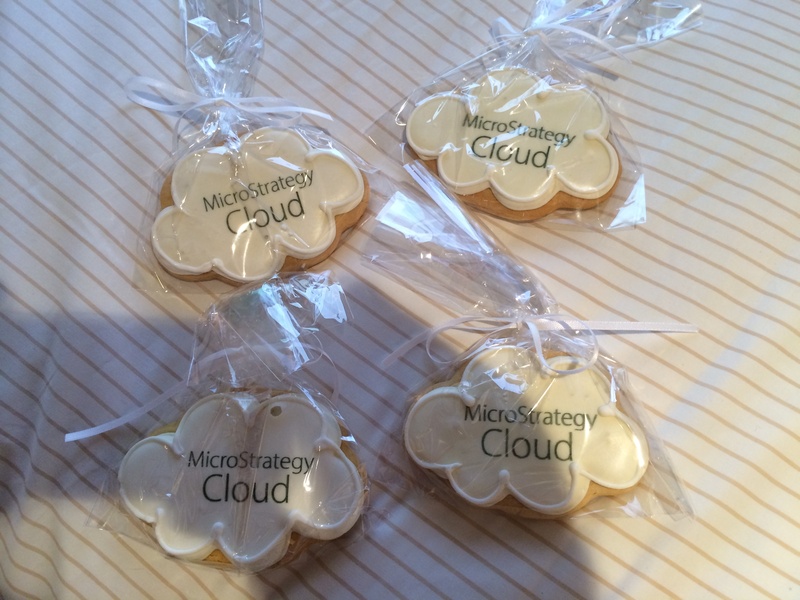 Not only do I get to hear a representative from MicroStrategy tell me about all of the new features and functionality of MicroStrategy Cloud, but he provides food too. I was given a hardcover copy of Mike’s book when it first came out by our Account Representative. However, a nice bit of swag for those who have not read it yet. I recommend you talk to your Account Executive and get a free copy. 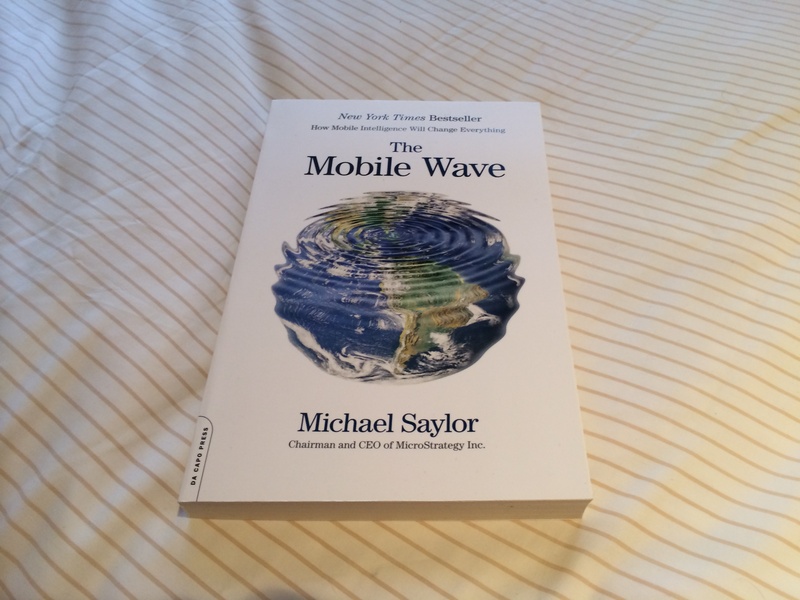 A must read for any MicroStrategy user who wants to better understand how Michael Saylor thinks. I grabbed copies of these over the past few years and given them to co-workers and clients. Lancet is very good at taking the “difficult to explain” and boiling it down to an easy read. 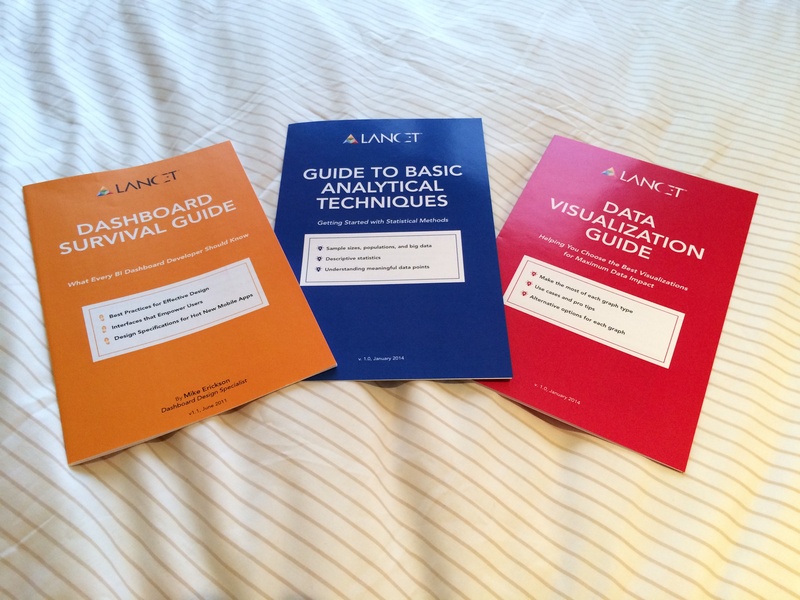 If you missed picking these up, I recommend you go to Lancet’s web site and request a copy. I love this phrase! 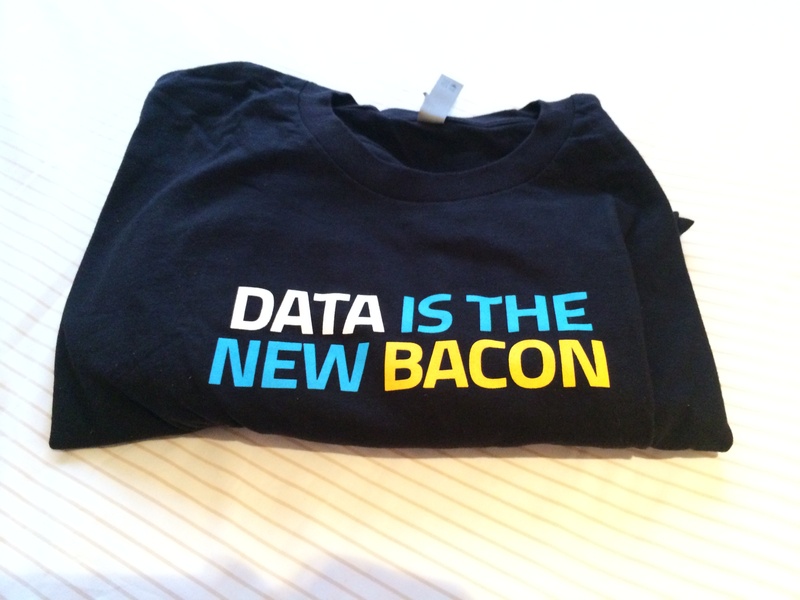 “Data is the New Bacon.” If you are crazy about bacon and lots of data, this is the shirt for you.